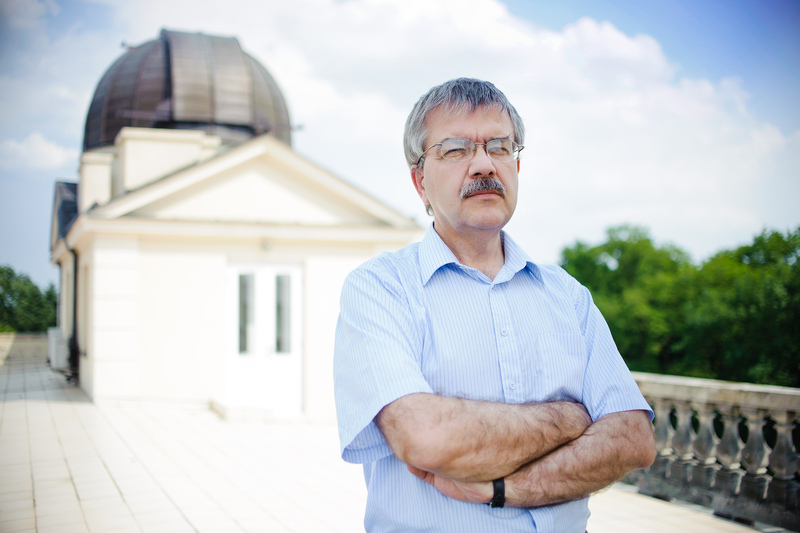 We are pleased to report that Prof. Andrzej Udalski from the University of Warsaw Astronomical Observatory, a winner of the Foundation for Polish Science Prize, has been awarded Germany’s most prestigious prize in astronomy and astrophysics, the Karl Schwarzschild Medal. The medal is awarded for Prof. Udalski’s pioneering contribution to the growth of a new field of astrophysics research, time-domain astronomy, which studies the variability of brightness and other parameters of objects in the universe in different time scales. The Karl Schwarzschild Medal is an award recognizing the most outstanding astronomers and astrophysicists, given since 1959 by the German Astronomical Society (Astronomische Gesellschaft), one of the world’s oldest astronomical organizations. The award of the 2018 medal was announced at a session of the society held during the General Assembly of the International Astronomical Union, currently underway in Vienna, also attended by Prof. Udalski (as Poland’s official representative to the IAU) and many other Polish astronomers. The official ceremony awarding the medal, combined with a lecture by the laureate, will take place next year at a convention of German astronomers in Stuttgart. The list of previous winners of the Karl Schwarzschild Medal includes distinguished astronomers from all over the world. One of them is the late Prof. Bohdan Paczyński, who won the medal in 1981.